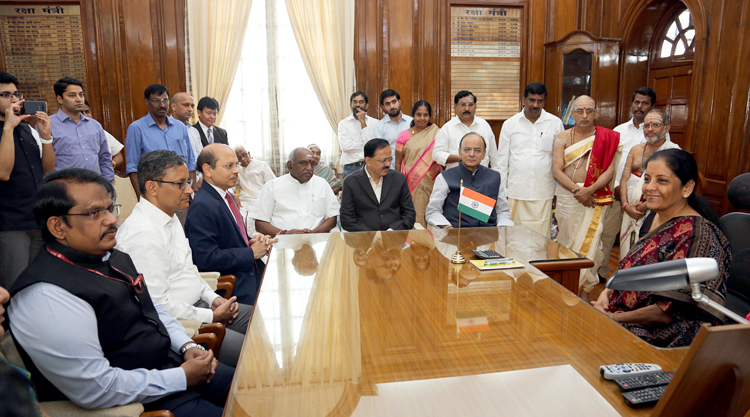 Nirmala Sitharaman took over charge as Defence Minister, here today. 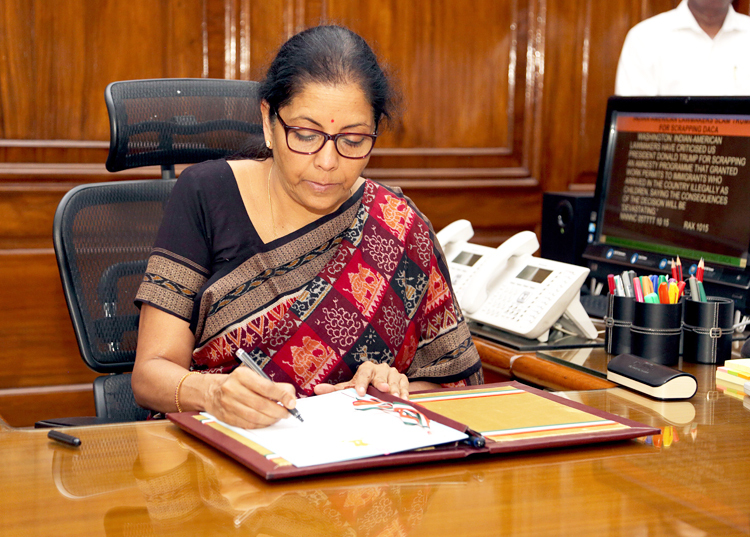 On her arrival at the Ministry of Defence in South Block, Sitharaman was received by outgoing Defence Minister Arun Jaitley, Minister of State for Defence Dr. Subhash Bhamre, Defence Secretary Sanjay Mitra, Defence Secretary (Defence Production) AK Gupta, Chairman DRDO & Secretary Department of Defence R&D Dr. S Christopher and other senior officials. Sitharaman is the first full time Woman Defence Minister of India. Immediately after assuming office, the Defence Minister approved a grant of over 13 crore which will be released for 8685 ex-servicemen, widows and dependants out of the Armed Forces Flag Day Fund. She also approved financial assistance out of Raksha Mantri Ex-Servicemen Fund. 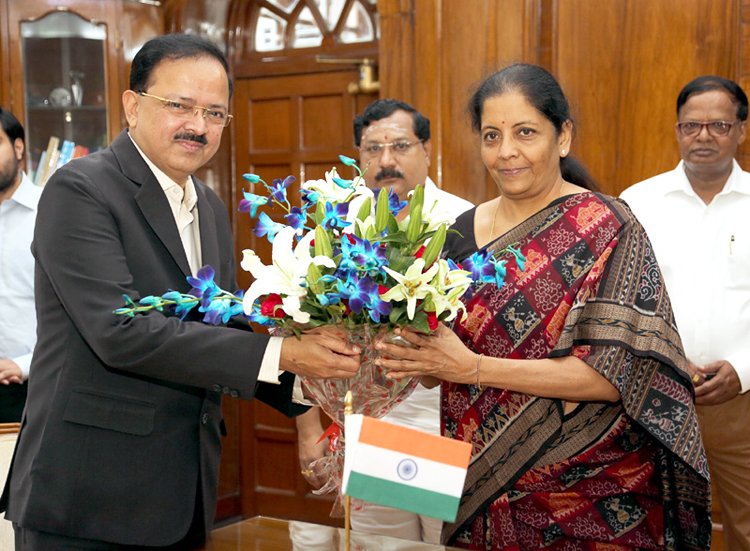 Nirmala Sitharaman being greeted by the Minister of State for Defence, Dr. Subhash Ramrao Bhamre after taking charge as the Union Minister for Defence, in New Delhi on September 7, 2017.